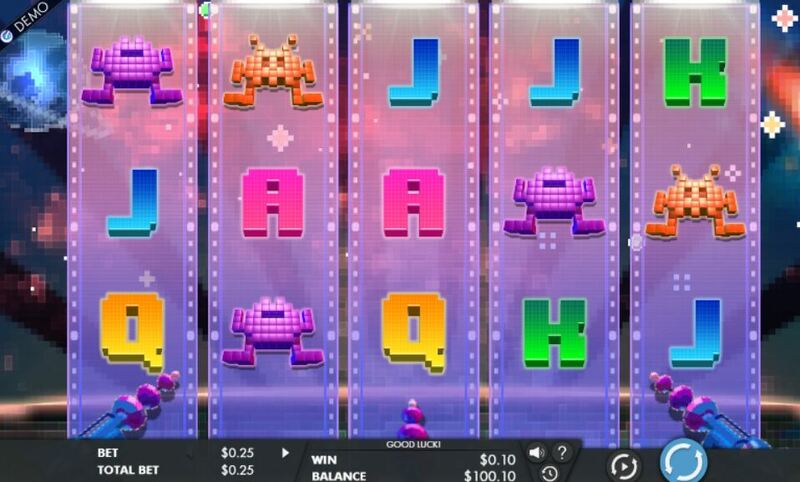 8 Bit Intruders slot is a zany release from Genesis Gaming with 243 ways to win over the standard 5 reels of 3 rows. The theme is the old ‘8 bit’ computers graphic found on the old 1980’s Space Invaders TV and cabinet games. Graphics wise it’s not quite Battlestar Galactica slot but it was never intended to be. 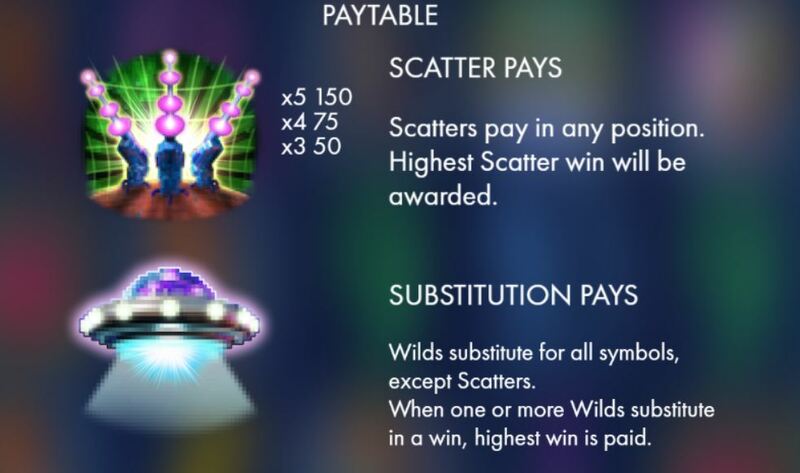 We only get sigle wilds on the centre 3 reels but there are stacked Asteroids which get blasted by your 3 laser guns at the bottom of the reels, to award small coins values of 1-5 which are small considering you pay 25 coins a spin. These can become annoying to say the least they way they slow the game down. You can trigger a space invaders game with 3 or more scatters. 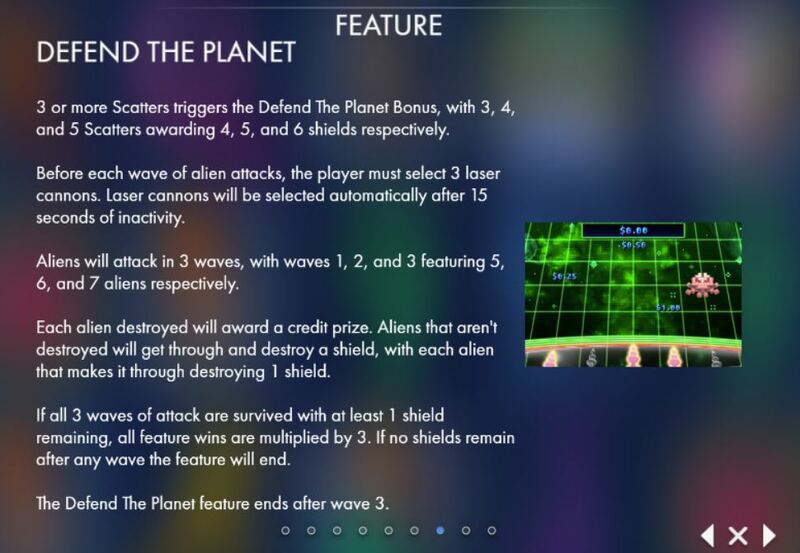 There are 3 waves of alien attacks and you have 3 laser defences, one under each reel. If you get a 4 or 5 scatter trigger you get 4 or 5 laser defences, but whichever trigger you only choose 3 to fire. 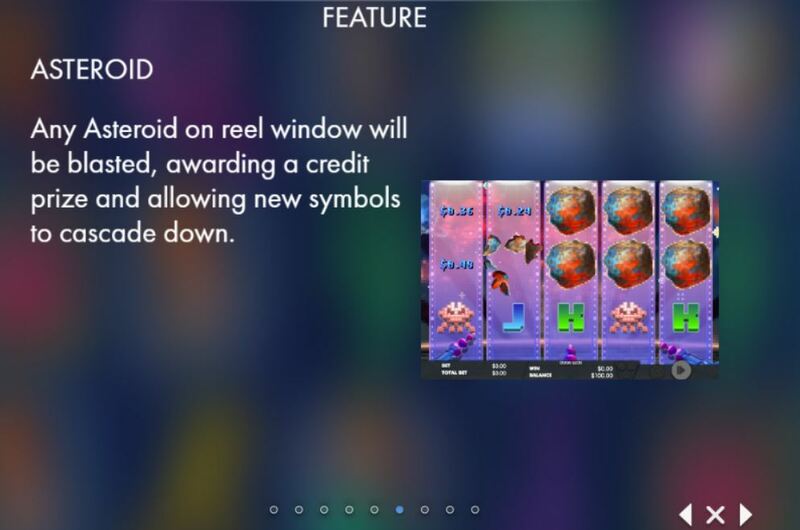 The aliens come down and you shoot them getting cash for each, any that get through destroy a laser defence station. If you have 1 or more lasers survive the assault all winnings are multiplied by 3x. A very low volatility slot with a RTP of 96.29%.